There are many good reasons why more and more businesses worldwide are offering their products and services for trade credit as well as cash, but underlying them all is one fundamental business motivation: businesses profit. Airlines and restaurants can fill empty seats, hotels and resorts can fill empty rooms, printers can fill press downtime, professionals can fill empty time slots, health care professionals can treat new patients, and so on. Business owners and professionals can then take this new-found revenue and reduce cash expenses, or expand their operations. Businesses across the globe are taking a serious look at trade commerce as a way to build their bottom line, and the rapid growth of virtual trade commerce can only mean that global business likes what today's commercial trade commerce exchanges have to offer. INCREASE SALES: We market your business to other exchange member businesses in the online member directory, through weekly email and through our member success and support team. Your business is referred new sales from buyers looking for trade commerce opportunities within the exchange network. NEW CASH SALES: The number one source of advertising for small businesses is "word of mouth." If you do a good job for an exchange member, they will refer their cash-paying friends, customers, family and other businesses to you. Additionally, trade credit revenue from the incremental sales that we will bring you can be used for radio, television, print, direct mail, outdoor, online campaigns and other types of advertising to attract more cash customers and build your brand. WHOLESALE BUYING POWER: With trade credit, the actual cost of the products you purchase on trade is the wholesale cost of your trade credit earned. Making sales with built-in profits makes the cost of your purchases even more economical on trade. When you join the Collective Currency, you open the door to a new, cash-free way of handling every day business and personal expenses. MOVE EXCESS INVENTORY AND FILL IDLE TIME: Every business owner has excess inventory, production, capacity or appointment time. That unscheduled appointment today has zero value tomorrow. When you join the Collective Currency, we provide you with new business to put your excess to use in profitable ways. We accomplish this by matching your product or service with businesses looking to purchase them with trade credit. 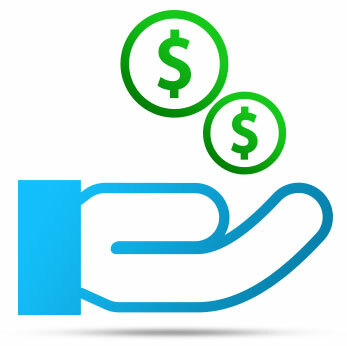 IMPROVE CASH FLOW: You can improve cash flow by increasing sales and reducing costs. Participating in a trade commerce exchange does both! Trade commerce enables you to pay for the products and services you need, using the goods and services you already have. When you hire a contractor, paint your office, or buy office supplies with your Trade Credit, you conserve your cash to pay other expenses. And, when you purchase using Trade Credit, you pay for it with revenue from new sales - sales that you probably would never have had, any other way. PROVIDES A COMPETITIVE EDGE: Collective Currency members will patronize your business over the competition, because your affiliation is an incentive to do business with you. Trade commerce attracts new customers to your business, without affecting the existing cash sales already being generated by your company. NO BAD DEBT: We eliminate collections. When you make a trade credit sale to an exchange member, you process the transaction using a touch tone phone or online postings to verify that the buyer has the trade credit available to pay for their purchase. COLLECT RECEIVABLES: A small business might find it difficult to pay you the cash they owe, but would welcome the opportunity to fulfill their obligation with payment in their products or services. Collective Currency members can then offer these goods and services to members for Trade Credit which gets deposited to your trade account for the balance you were owed. Your noncollectable receivable just became revenue that can be spent on a variety of business expenses. 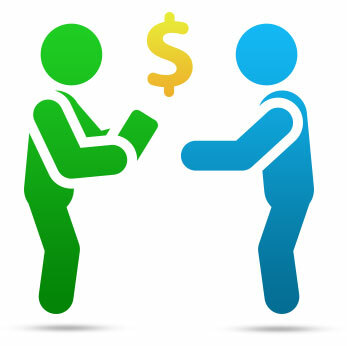 EMPLOYEES INCENTIVES: By using exchange member dentists, for example, you can provide a much appreciated benefit to employees without having to pay cash for it. Trade is also a great way to offer contest prizes, bonuses, wellness programs and vacations - all available to you without using cash, and all based on your wholesale cost of the incremental business that we have brought you. Tens of thousands of business owners and professionals already trade in our Global Trade Alliance. Earn Trade Credit from these new customers and put your new purchasing power to work running your business, expanding your operations, or enhancing your personal standard of living without spending cash. Get the benefits you deserve, and Join Collective Currency today!